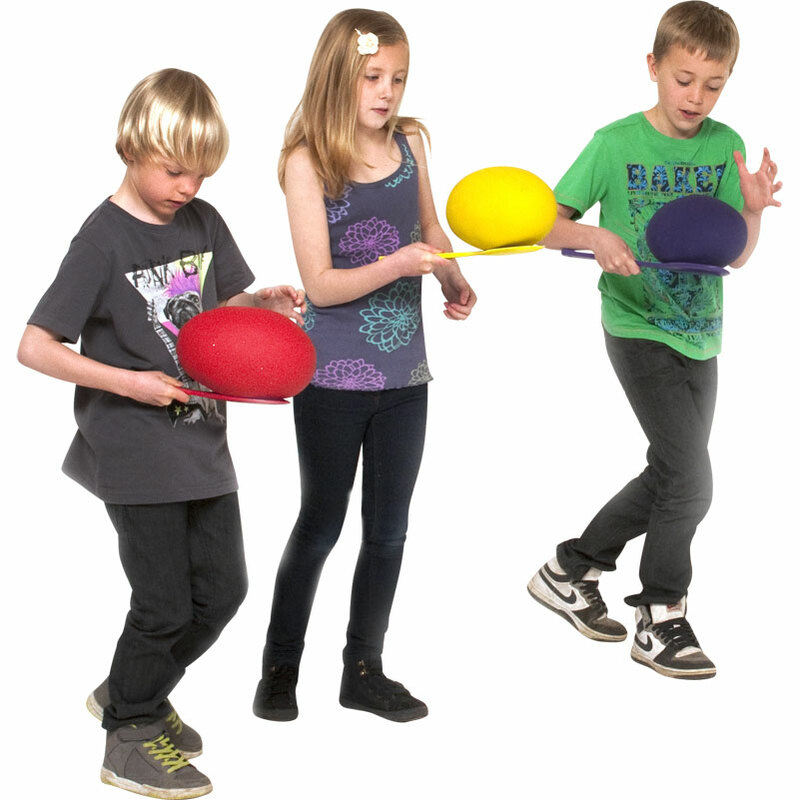 PLAYM8 ® Dino Eggs and Spoons are oversized large eggs and spoons which are great fun and will help teach children balance and co-ordination skills. Can be used in the classic egg and spoon race or the soft eggs can be used for developing basic throwing, catching and rolling skills. Supplied as a set of 6, one of each colour red, yellow, blue, green, orange and purple.